In the Post-Koken case of Schmerling v. LM General Ins. Co., No. 17-3659 (E.D. Pa. Nov. 8, 2018 DuBois, J. ), Judge Jan E. Dubois of the Eastern District Federal Court of Pennsylvania the court addressed the carrier's motion regarding the manner in which this UIM case was to be presented to the jury. The court ruled that the Plaintiff was prohibited from presenting evidence on the UIM benefits coverage as well as evidence on the settlement negotiations with the underlying tortfeasor defendant and the settlement agreement with the tortfeasor defendant. After reviewing conflicting Pennsylvania Federal Court decisions on the issue, the Schmerling court entered these rulings under an application of general principles of relevance. The court noted that the evidence was irrelevant to the jury's determination of the Plaintiff's alleged damages, and that any probative value of such evidence was substantially outweighed by the danger of unfair prejudice to the Defendant. 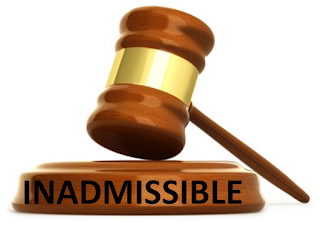 In terms of the unfair prejudice of this information, the court noted that the evidence of the amount of the UIM limits, could supply the jury with an "anchor number" that does not reflect the Plaintiff's actual damages. The court ruled with similar reasoning in excluding evidence of the Plaintiff's settlement negotiations and settlement agreement with the tortfeasor as irrelevant to the jury's proper assessment of damages and unfairly prejudicial to the defense. The Schmerling Court's Order can be viewed HERE. The Opinion by the Court can be viewed at this LINK. This recent Schmerling decision has already been cited in a similar ruling by President Judge Jason J. Legg of the Susquehanna County Court of Common Pleas on November 19, 2019 in the case of Phillips v. Nat'l Gen'l Assur. 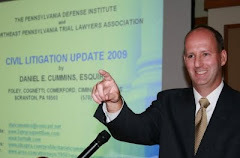 Co. which case was brought to my attention by Attorney Gerald Connor of the Scranton, PA office of Margolis Edelstein.